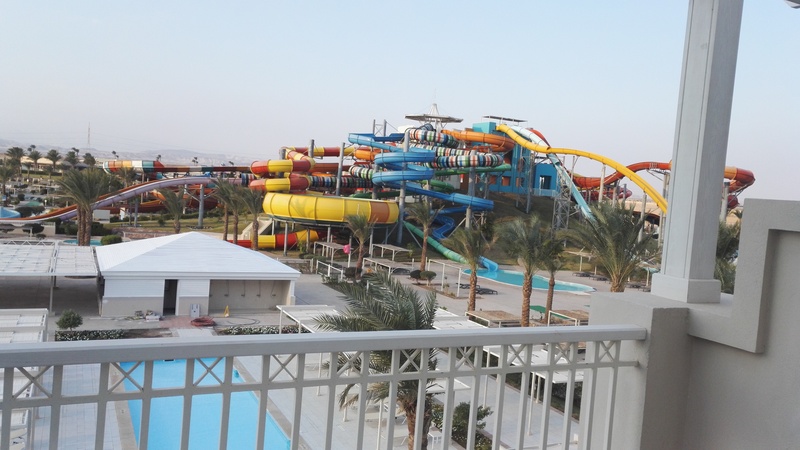 This is a review for the Jaz Aquaviva resort in Hurghada, Egypt. Is this resort the right place for you? Short Version : Its a great hotel, great holiday, there is a very high chance of you having a great time here. Long version : Once upon a time….. 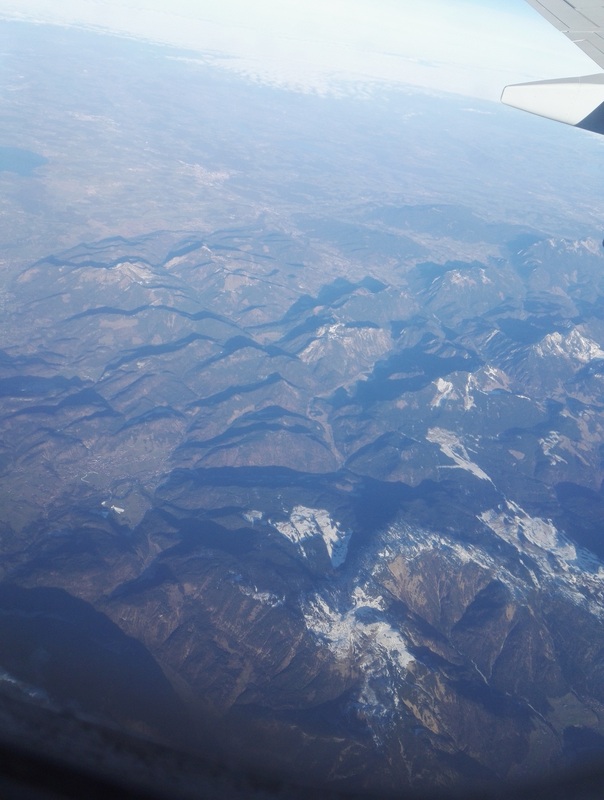 The flight is about 5.5 hours from London direct to Hurghada, Egypt. 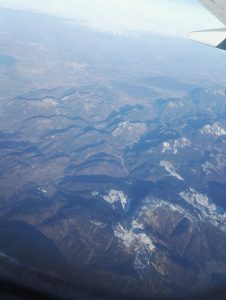 We enjoyed the flight, we brought plenty of things for the kids to do, and we stopped off on a supermarket before the flight and picked up snacks to enjoy on the journey. 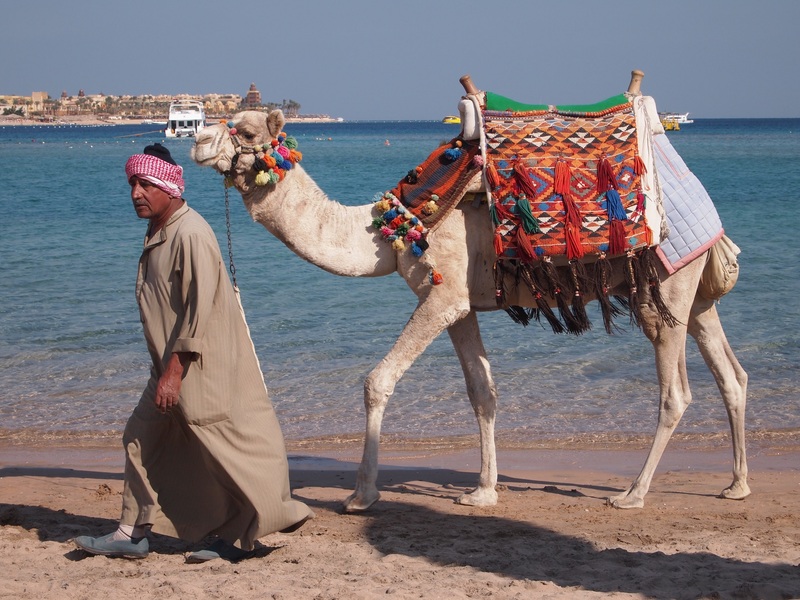 Hurghada is a quiet coastal town, the hotel is about 30 mins coach trip from the airport. Martyn, our rep picked us up in a coach with about 30 people from the air port, he was nice and fun and was happy to answer any questions about the hotel and area. On arrival to the hotel, we were greeted with a choice of fruit drinks and a cool towel to refresh. Check-in is fairly quick. The rooms are spacious, and well equipped, there is tea/coffee making facilities, hair drier, safe, nice TV, air conditioning. We made a slight mistake by thinking there was no hot water, we called to reception and they sent the engineer, embarrassingly we were turning the wrong tap, what tricked us is that the hot tap starts off cooler than then cool side, and takes about 20-40 secs to get hot. The showers are lovely, powerful and as warm as you like. The hotel is cleaned constantly and looks fantastic, there are staff who attend the plants, pools, corridors etc. 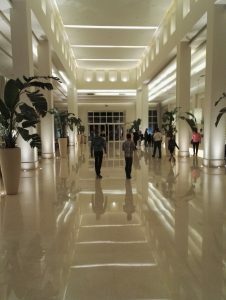 The hotel is new, which shows, it has a plush interior and large vaulted reception and bar areas. The food is excellent, we are a family of 5, naturally the kids are fussy eaters, but they enjoyed eating at Jaz. We didn’t have any tummy troubles, I noticed all the staff and kids club eat the same food as the guests and they seemed fine. I did notice kitchen staff taking temperatures of food and replacing food with fresh items which was reassuring. The staff are excellent in the main restaurant, always asking if you want something to drink or need anything, they are happy to bring the drinks to your table, always with a smile. I remember Barakat, and the several Muhammad’s, Ibraham who worked in the main restaurant all made the dining experience a relaxing and enjoyable one. Breakfast was the kids favorite, they loved the freshly baked croissants with butter, then they would have some strawberry yogurt and then a bit of scrambled egg and beef bacon. They would then have hot chocolate from the Nescafe machine to finish and some fruit. There is so much variety, there are chefs who will cook your eggs to order as you like. 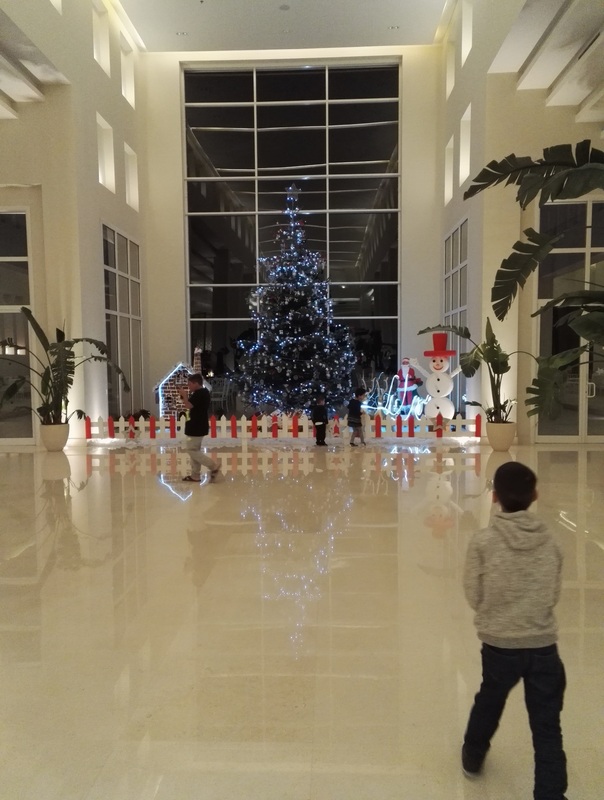 The kids club was especially good, we have been to similar resorts in the past, we went to Sea Aqua club in Sharm last year, and that was nice, but the kids club here is something special. 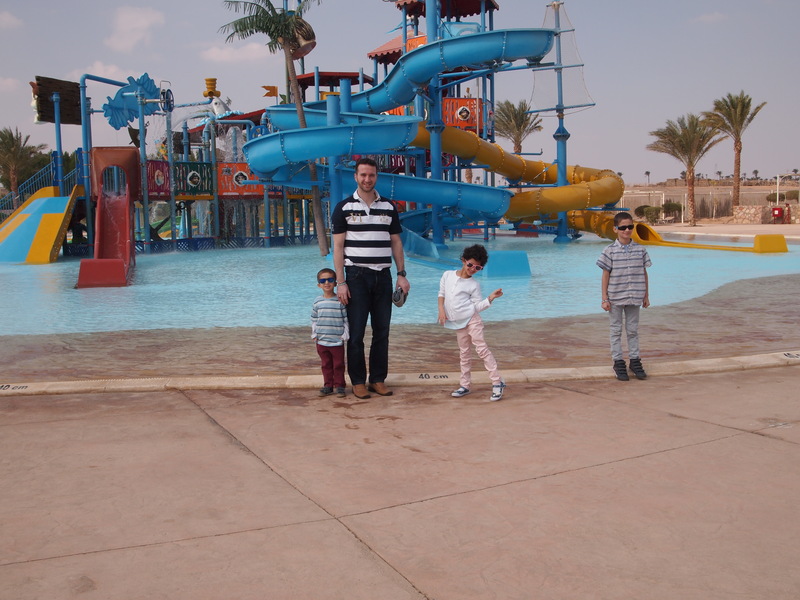 Michele the team make a real effort to make the kids feel welcome and keep them entertained, and it means that you can have a few hours to your self for a go on the water slide, a quiet dip in the adult pool or lounge in the sun. 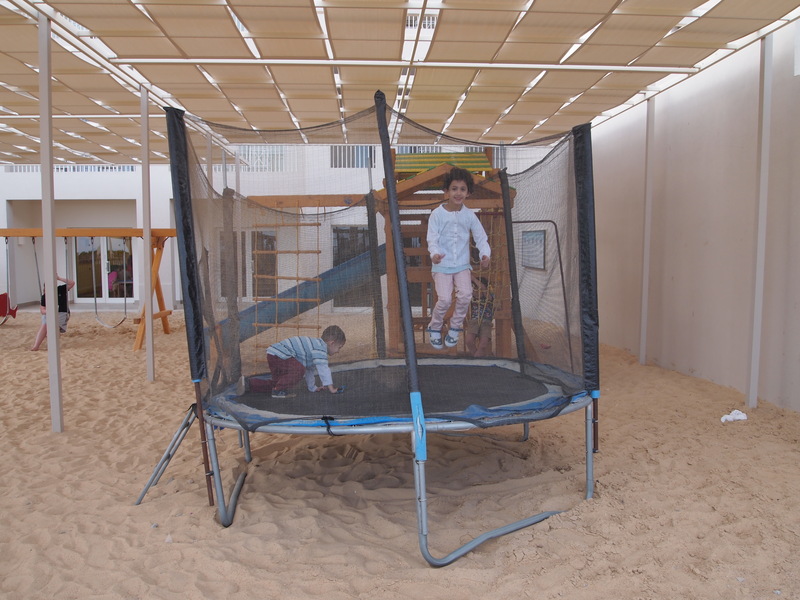 The kids club was available from 10-1pm, then from 3-5pm and sometimes in the evenings from 8-10pm. 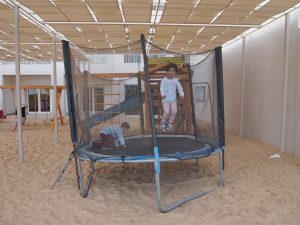 The kids loved it, the activities were varied, coloring in, films, talent shows, dancing, football, table tennis, etc, all based on the kids age and interests. There are approx 6 swimming pools, when we went the hotel was quiet (term time), and 2 of the large pools were heated (really nice and warm) and 2 kids pools were heated (even warmer, like a bath, the kids loved it). None of the pools are “deep”, all are 120cm, which is a good idea, fine for swimming, but vast majority of people can still stand up. There are different areas of slides, there is the kiddie slides which are connected to a shallow pool, ideal for toddlers 2-5 years old, the pirate bucket tipper area has a good mix of slides for the 5-10 year old, the is a white pirate ship which seemed good for younger kids, but that was not working when we were there. The water in all the kids slide area is heated, it didn’t seem as warm as the other pools, but it is heated and the kids loved the slides. The adult slides range from a casual giggle to white knuckle adventure, there is quite a few, so something for everyone. It all seemed safe and well managed, the only thing was the water on the slides was a little cool, however after a few seconds of most of the slides, you don’t seem to notice. There are so many slides there is no queues or waiting around. The bars and staff around them are really keen to serve people. You don’t even need to go to the bar, the waiters will come to your tables and write down what you want and bring it for you. You can also order popcorn. There are a nice selection of mocktails, the kids loved the “Florida”. Ahmed in the “liquid bar” is really nice, he makes the drinks nicely and with a smile, Ramadan in the outside bar is also nice. The evenings in late December are cool, you will need a jumper / jacket if you are sitting outside, in the day its hot and sunny, the hotel is designed so that there is no real breeze onto the pool areas. We went to the beach, which is a 5-10 min mini bus trip, the beach is really nice. 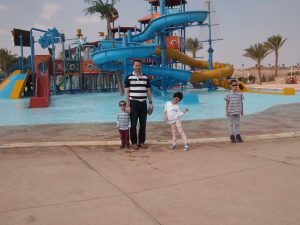 Its fine sand, the kids loved playing on it, the water is warm and clear, there is plenty of sea life to look at, but I felt there was less fish than Sharm. There is a great food cafe at the beach which is free which serves really tasty food, kebabs, sharwama, chips, pizza, burgers, and the really delicious freshly made falafels. They also have a full selection of drinks, pancakes, waffles, ice-creams, churros, etc There are plenty of areas to sit and plenty of sunbeds. If you wanted you could “eat out” in a restaurant near the beach area, but to be honest, the hotel’s restaurant’s and beach side cafe seemed higher quality and nicer (and free for us as we were all inclusive) than the paying ones, so I cant see why anyone would do that. For me, the food was the highlight of the holiday. I enjoy a nice meal, and we had plenty of nice meals here. 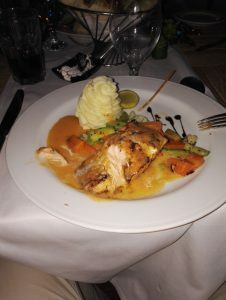 The buffet style restaurants are excellent, but the a la carte restaurants are even better, and to top it off, there free ! Its so nice to be able to order anything and not having to worry about it being halal, its a very comfortable place for practicing Muslim families to go to. Jaz Aquaviva Grilled Salmon, the food was amazing. In terms of “best” rooms, if you want to have the quietest time, then block 4 is the quietest, but the downside is your far away from the hotel and pools. If you don’t want any noise near your room in the day, then avoid the rooms near the main pool where there are loudspeakers, however it wasn’t that loud. 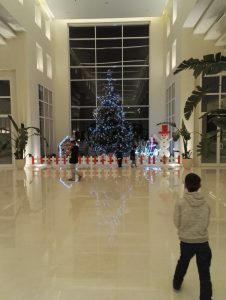 The atmosphere of the hotel is a family one, its not a night club or rowdy place at all, its people of different nationalities and backgrounds who generally have kids and want to have a nice time. There are plenty of areas to get peace and quiet, notably the adult pool area on the second floor, which has its own bar and plenty of sun beds and seating. In conclusion, I would recommend this hotel, and I would love to go again. If you do have any issues when your there, just call reception, they are so eager to help. I loved reading your review on this hotel mashallah it’s a beautiful hotel and can’t wait inshallah. There is a spa, it’s near the gym. I did not use it, but there were male and female spa staff for your treatments. There are no ladies only pools. However there are plenty of covered women using the pools. Also, there are many pools and you are going at a quiet time of year, so it would not be unusual for you to have the adult quiet pool to yourself. There’s also the sea which is not far away and that is very quiet. Just remember the days are short at the moment and you need a jumper in the evenings. Also there are loads of things you can get from the cafe bars, like slushies , popcorn , cakes, ice cream, etc so try to make sure you know what’s available or you may miss out. Inshallah you will have a lovely time. Please let us know your thoughts when you get back. Also if you have any places you have visited and recommend fur Muslim families please share them . 54|24|They said, “Are we to follow one of us, a human being? We would then go astray, and end up in Hell.